In 1897 my great grandfather, J C Williams, started writing comments in his garden diary. The leather bound book entitled ‘The Garden’ has a page for each day of the year. It initially records JC’s work in daffodil hybridisation and, after 1902, it records the arrival of vast numbers of new plants from China which were totally unknown in Western Europe. These were collected by the great plant hunters, Ernest Wilson and George Forrest, whom JC had sponsored and paid for on their various Chinese expeditions up to 1932. JC had no interest atall in publicising his garden or his considerable work hybridising the new Chinese species of rhododendrons and camellias which were arriving as seed to Werrington and Caerhays in such numbers. As such his diary was an entirely private and personal record of the development of the garden with all its successes and failures. 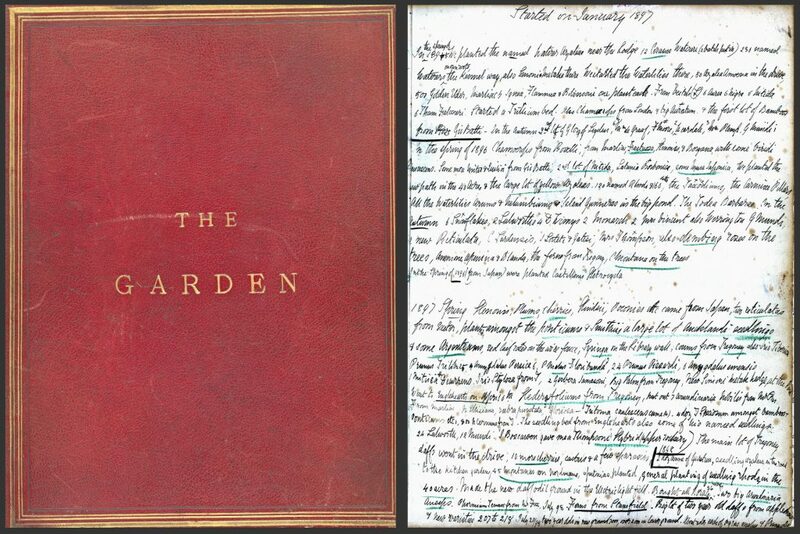 The Garden diary was maintained after 1939 by my great uncle Charles Williams until his death in 1955. Thereafter my father continued to fill the pages until Alzheimer’s took hold in around 2007. ‘The Garden’ book is now full so I have decided to carry it all on in a rather more public manner by creating a similar daily log of first flowerings of new plants, the demise of old ones interspersed with more irreverent comments about the day to day running of the now very public garden here. The addition of pictures featuring plants and events should make it perhaps more relevant and interesting to those who know the 140 acre woodland garden at Caerhays or who simply enjoy magnolias, camellias and rhododendrons. We have now transcribed the entries in the diary in reverse date order back to 1897 so that garden historians and enthusiasts can trace back in time, day by day, what was noteworthy in the garden over the generations. As the attached photographs show my forbears were not blessed with handwriting that is easy to read and decipher. Plant names have changed over the last century as botanists reclassify specie and genus names time and again but we have attempted to make this understandable. However, what is now revealed, is a unique history of the development of one of the country’s leading plant collections and woodland gardens. We will now progressively be adding other photographs and other archive material back over the decades to give the Garden Diary more relevance and historical interest. This will take considerable time to achieve. If I concentrate too much on magnolias in season this is because we all have a mission here to continue to manage one of the National Collection of Magnolias and can now delight in enjoying them with you. Is there a plant nursery in u k that can purchase fruit trees from canary island n then resale to Bermuda who will be responable for all paper works n make sure the plants are clear of all bugs. Hello, I am visiting Caerhays on 3–4-2018. I will be intrigued to see the gardens and house. My great great grandfather worked in both until he left in 1892 to join the railways, aged 22. I was wondering if there any archive records available to see? I have his reference given when he left your employ. Thank you. Julie. I would be very interested to see a copy of the reference given to your great great grandfather when you call here on Tuesday 3rd April. I am afraid that our archives are not on public display during the house tours but I will try to see if I can find anything to show you during your visit. However, I am not terribly hopeful of finding anything particular relevant. good morning, I read all the letters from people… very interesting. Thank you very much for your enquiry. I have asked Sophie from the estate office to contact you on the email you provided. Sophie deals with all group bookings and will be able to help you. Should you have any queries in the meantime please don’t hesitate to contact the estate office on 01872 501 310. Hello. That sounds really exciting. I am George Forrest’s great-great niece and have written an educational project on him for county and have been bringing children to Caerhays for a few years. Although I know a fair amount about George Forrest, I am not green-fingered myself but with some guidance from a good friend, I am about to create a garden in honour of Forrest! I bought a Camellia X Williamsii yesterday at Caerhays. I am looking forward to reading about the development of the gardens at Caerhays over the years! Marvellous magnolia collection and a splendid idea overall. We, as gardeners, approve and appreciate your effort! Fantastic to hear that the diary will be an inspiration to future generations. As a magnolia enthusiast and collector myself, I very much hope that I too will have the opportunity to read it. Thank you for your kind comment. I hope you continue to enjoy The Garden Diary! I am a member of Falmouth NADFAS and we are considering researching the plants and seed that came to the UK via the Port of Falmouth – did they arrive to order, by accident, as ballast etc and where did they go. Any help that you could give us on this fascinating subject would be very welcome. Most, if not all, the seeds from new and then unknown plant genera in Western Europe came from China via Portsmouth and London. Sadly not Falmouth. You clearly already know the Dicksonia antarctica ballast story. Sorry not to have been of more help. I suggest you talk to the Fox family gardens whose South American plant introductions did come from plant explorers and sea captains operating from Falmouth. Excellent idea – and what an interesting historical resource to have in your family. Make sure you also keep hard-copy of your entries for future historians! I would like to receive the diary entries and am trying to get access in future. 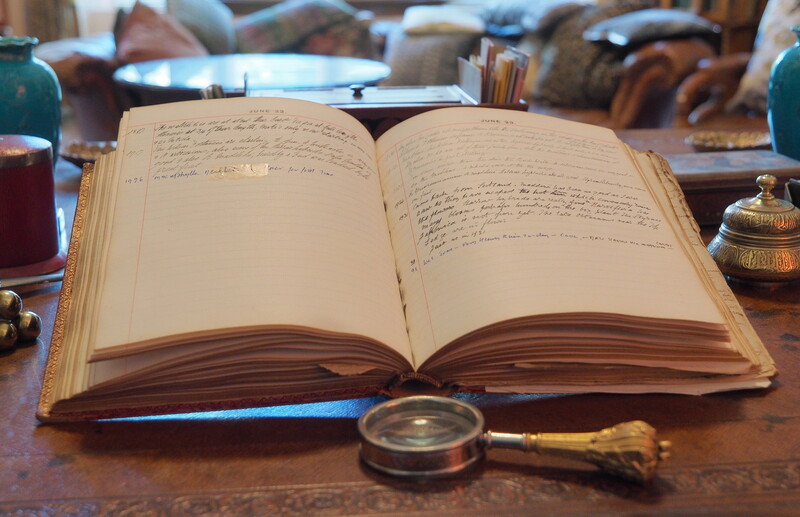 As a member of the Rhododendron, Camellia and Magnolia group I am particularly interested to get access to the diary. I hope you can facilitate this. Certainly but it will take quite a few months to sort out all the copytyping and transcriptions. Now that the PC world of the BBC reigns again with the demise of Clarkson and Co, perhaps Williams and Co offer a continuation of the former? I am amused to see that on April 9th 1965 David fell into the pond! I nice idea to continue with the diaries. Great idea–if a lot of work for you. Anyway I look forward to hearing blooming dates of Magnolias if only to compare with my few here in Bath. Really looking forward to reading the journal. Love magnolias, in the process of buying as many different varieties as I can.